A front facing flower Arrangement consisting of Blue Roses, Lisianthus and Green Carnations. 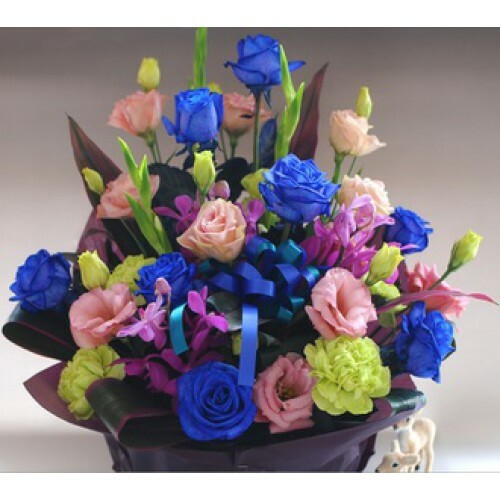 A lovely mix of soft shades which are set off by the Bright Blue Roses. We will use a selection of seasonal flowers depending on seasons but they will be professionally arranged by our expert florist and delivered anywhere in the UK. Arrives in flora foam for freshness and just needs topping up with water every couple of days. Freshness guaranteed.